When creating a Turnitin assignment, you may get an error that reads: "Turnitin assignment could not be created. date_post - post date must be after start date," as shown below. This is due to a disconnect between the Canvas due date and the Turnitin due date. Alter this due date to the desired due date and press submit. 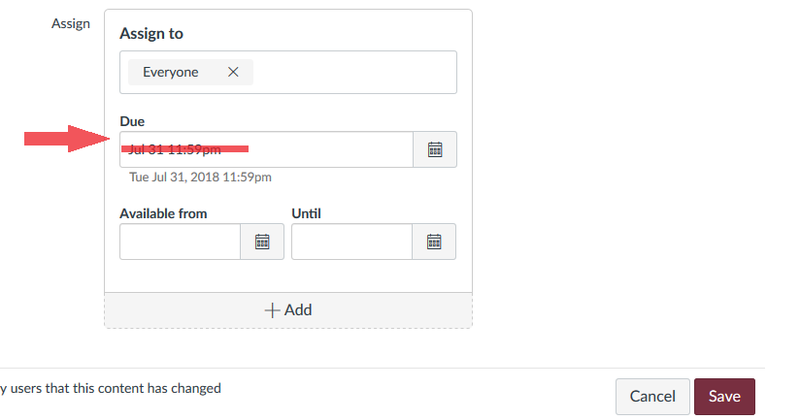 Go back into the Canvas Assignment Settings and reenter the proper due date; save these changes. You should no longer see the error as Canvas and Turnitin are now reconnected. If you are unable to alter the due date, you will need to make the changes at Turnitin.com. 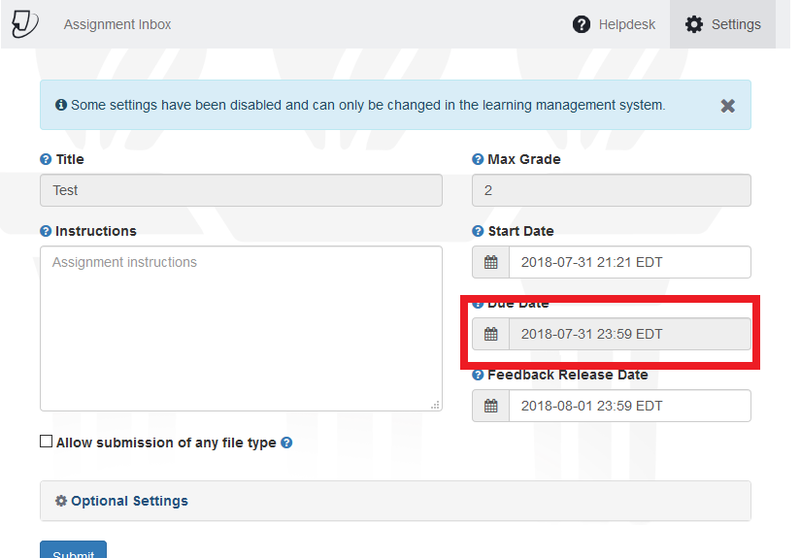 Please follow the instructions in Instructors: How to Access Your Turnitin Account for the First Time in order to do so.